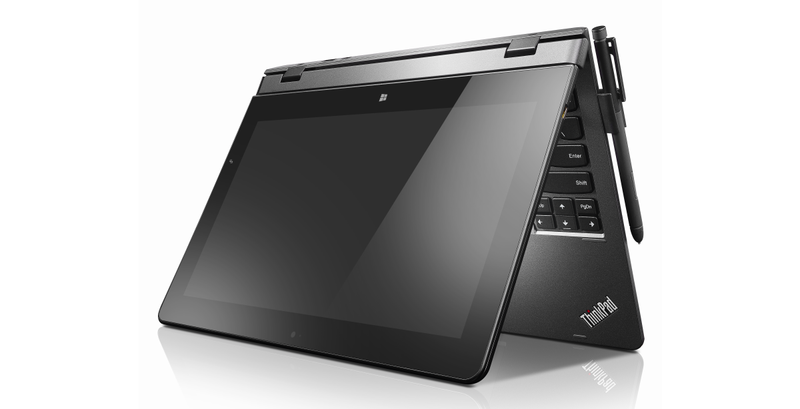 Lenovo introduced its Helix detachable last year, with a 11.6-inch, 1080p screen, a beefy Intel Core i5 chip inside and a battery-boosting keyboard dock. Pretty much a Surface Pro. This year it's back with a new, slimmer body and it's one of the first gadgets out there to rep Intel's newest "Core M" brains. Intel's Core M lets the new Thinkpad Helix's tablet weigh drop down by half to 1.8 pounds and 0.38 inches thick, just a hair thicker and a tad heavier than the old 4th-gen iPad. The new version is also fanless thanks to Core M, and Lenovo says it has better performance (duh), not to mention 12 hours of battery life when popped into its power-packing keyboard dock. No word on price or availability yet, but this new Thinkpad Helix is one of many new Intel Broadwell devices we should start seeing drip out during the rest of the year, all making use of Core M efficiency to go both smaller and fanless. Get ready to say goodbye to moving parts, and just imagine how slick a fanless Surface Pro could be.